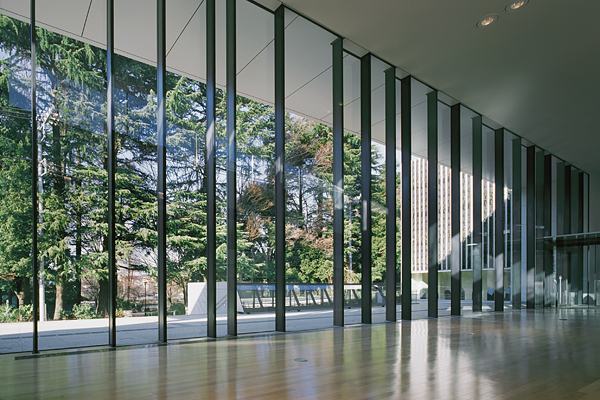 Nerima Shakujii-koen Furusato Museum | PROJECT | YAMASHITA SEKKEI INC. 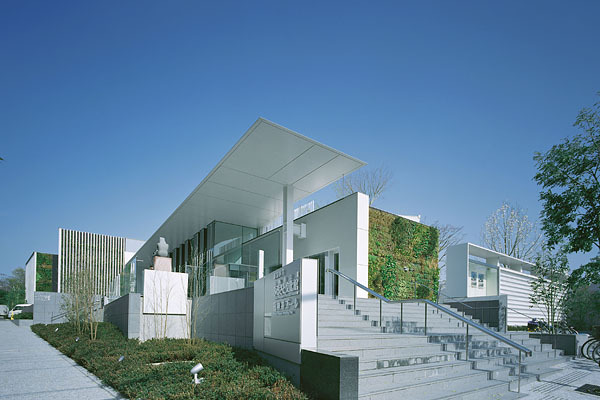 This public museum is located at the southern end of Shakujii Park. The design emphasizes coexistence with the park greenery and with nature and the environment, and is intended to please the eyes of people visiting the park. 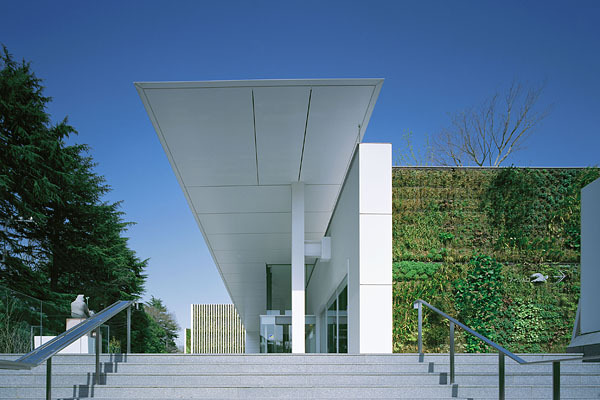 A layer of green reflected on the wall of glass on the facade facing the park creates continuity with the park. The composition includes both the grandeur of the large park’s greenery and the fine, delicate detail of the architecture. 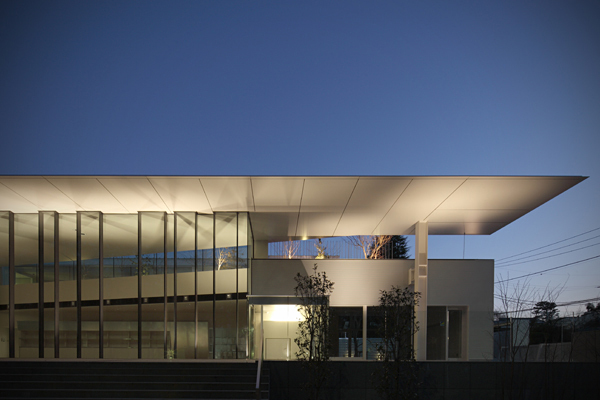 The design attempts to differentiate these two aspects through variation in scale and continuity. The plantings arranged intermittently from the front street to the back road have different hues of green, creating a gradation in relation to the building shape and detail.